Like Manchester City's chants of "stand up for the champions", seconds before Paul Pogba's goals went in, were embarrassingly premature, so too were the claims that Pep Guardiola's current team is the greatest in the Premier League era. After a whirlwind of a season so far, City crashed back down to earth in a reality shock that has taken many by surprise. 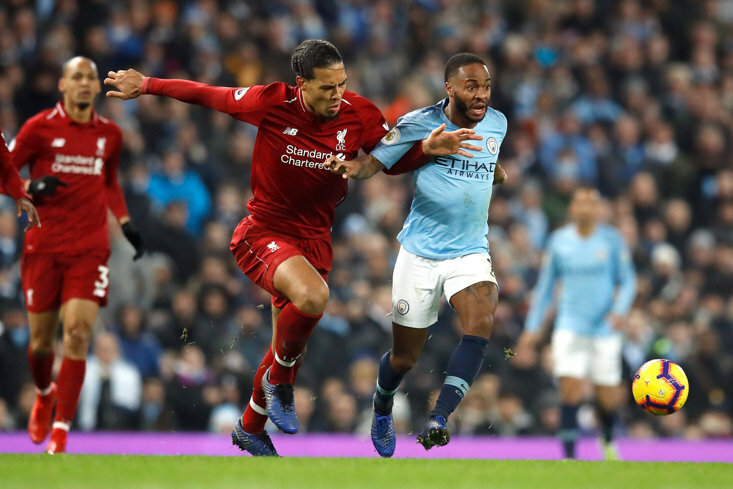 Losing football games had been a foreign concept at the Etihad but they have now lost three on the trot, suffering painful defeats against Manchester United in the league and Liverpool in the Champions League. This has left supporters, journalists and pundits scratching their heads, as many have spent the past few months talking up this City team as the best they had ever seen. Not long ago, there was the suggestion they could win the unprecedented quadruple, although defeat to League One outfit Wigan Athletic in the FA Cup ended that dream. They were supposed to go a season unbeaten too but Liverpool put a stop to that in January. 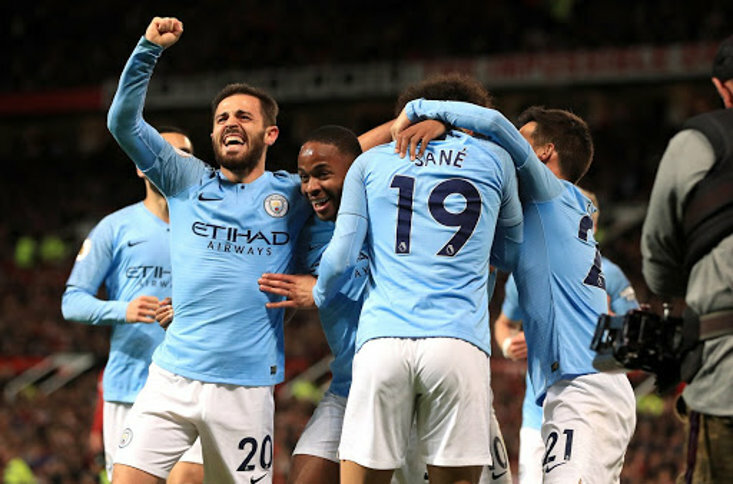 While most City fans didn’t buy in to or ask for the talk of the quadruple, many encouraged the discussion over them being the greatest ever team in the Premier League. Now that there is undisputed evidence that this City team are nowhere near making the grade, for now at least, it’s worth looking at just how short of mark they’ve fallen. One criteria that many of the best Premier League teams have in common is that they have managed to see off brilliant competitors to claim the title. The pressure has been on them all season thanks to quality teams present to capitalise on any mistake made, or sometimes they come back to overthrow a team at the top, with their resilience and self-belief carrying them over the finishing line. The closest challenger to City this season is United, a team that has been roundly criticised, by its own supporters as much as people outside of the club. Despite beating City, Liverpool, Tottenham Hotspur, Chelsea and Arsenal this season, this United team is a long way behind the top Sir Alex Ferguson sides of the past, yet they are the best of the rest in England. What Fergie would have given to compete against a team of this current United standard when his sides were dominating. It is only now that City have been put under any real pressure and they’ve collapsed under it. Would they have shown the fight to be able to come back from 12 points behind the leaders in January as United did in the 1995-96 campaign? The thrashing at Anfield, losing a 2-0 lead against United, before being beaten at home by Liverpool asks serious questions about their mentality. Had Guardiola been faced with this scenario a few months ago, would they still be strolling to the title now? We’ll never know but the fact that it’s taken until March for anyone to have a real go at them is testament to how weak the rest of the league is. Further criteria shared by the greatest teams is their ability to compete strongly in more than one competition, especially in Europe. Having finished second in their Champions League group last season, City were knocked out by Monaco in the round of 16. 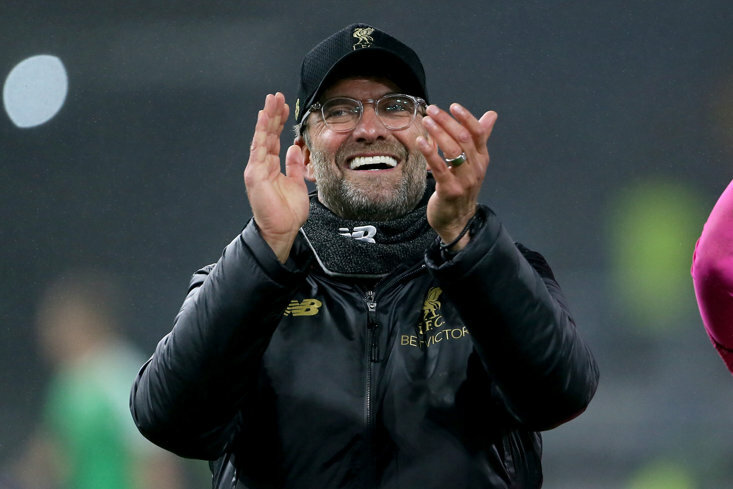 This season, they progressed to the quarter-finals after beating the second best team in Switzerland, Basel, in the first knock-out round, before losing to Liverpool. Finally, the success of the best team lasts for more than one season. There are several one-year wonders, who prove to be the best over one campaign, but who fall away the following season. Leicester, for example, whose title winning achievement was remarkable in 2016, were a massive 10 points clear of any other team, yet you’d never argue that side was up there with the best of all-time, given what happened in the following campaign. Time will tell as to whether City can maintain the dominance they've shown this year. Money has often been a factor when establishing the best teams, so that can’t be used as a black mark against City, but it is worth pointing out that they have outspent all other teams in four of the past five seasons. When you consider that even before Guardiola took charge their squad already included the players we now regard as among the best in the league, like Sergio Aguero, David Silva, Kevin De Bruyne and Raheem Sterling, it is quite extraordinary that they have managed to spend so much. While Arsenal’s Invincibles didn’t break transfer records and United’s greatest teams have always included their fair share of academy graduates in the side every week, Guardiola’s best XI doesn’t have any of the players who have been developed by the club. They struggle to even make it on the bench for league games, despite City’s success in the youth league and FA Youth Cup starting a decade ago. Those players are in their late 20s now, with City failing to integrate any of their academy players as regulars in the first team. So if we can agree that City's team is not the best ever, which one is? Starting with Arsene Wenger’s best team, their unbeaten run over 49 games was a unique achievement, just as winning the league by the first weekend in April would have been a one off had City managed it. Yet it was the Gunners who achieved what had never been achieved before. They also had a strong challenge for the title with Chelsea, who proved to be one of the best sides in Europe when reaching the Champions League semi-finals that season. But Arsenal only maintained that level for a season. 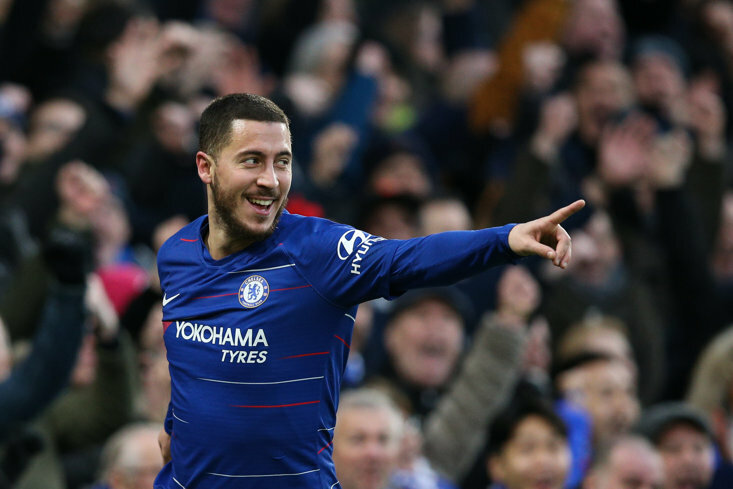 The following year Chelsea made the step up to being contenders for one of the greatest Premier League sides, claiming a points total record and going on to win the title the following season too. 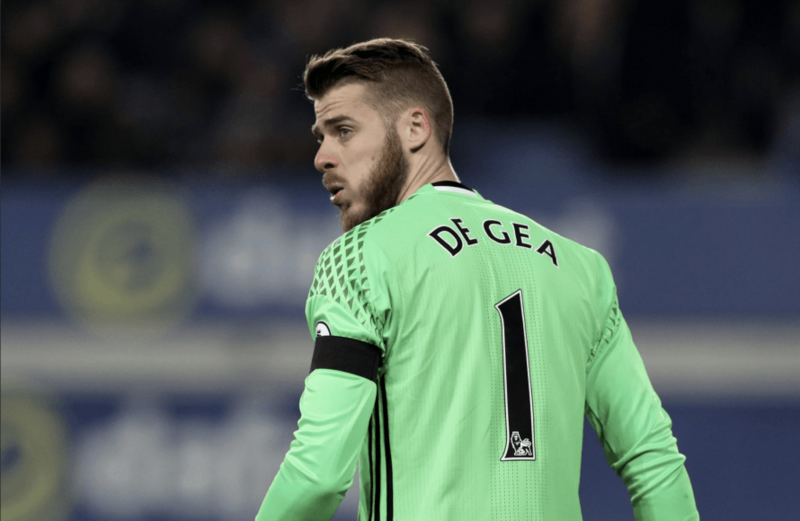 Their closest rivals, Arsenal and United, weren’t up to much in those two seasons, but that doesn’t negate the fact that Chelsea raised the bar. Still, United managed to meet and surpass Chelsea in the years that followed. They won the league in 2007, as well as reaching the FA Cup final and Champions League semi-final. The following season they won the league and were also crowned champions of Europe too. The following campaign they won the league again, as well as winning the League Cup and reached the Champions League Final for a second successive season. When discussing Sir Alex Ferguson’s teams, it is that 2008 side that sometimes gets overlooked, but it’s worth remembering that they had to overcome Champions League finalists, Chelsea, to win the league, as well as a Barcelona team that included Lionel Messi, Xavi, Adres Iniesta, Thierry Henry, Samuel Eto’o and Yaya Toure to win in Europe. It’s United’s 1999 team that is often hailed as the very best though and rightly so. No other team in the history of English football has won the treble. United saw off a brilliant Arsenal team to win the league. They beat that same team, as well as the likes of Chelsea and Liverpool, in an FA Cup run solely against Premier League opponents before lifting it. In Europe, they were unbeaten, qualifying from a group that contained both Bayern Munich and Barcelona, before beating Inter Milan, Juventus and Bayern to win the competition. Winning the league is a huge achievement but to sustain such a high level that you’re also able to claim a further two trophies by beating the best teams around is remarkable. When you look at United’s run in that season, the enormity of the achievement is highlighted. At the end of a long season, they played Juve in the Champions League semi-final, then Arsenal in the FA Cup semi-final four days later, then a replay three days after that (where United went down to 10 men on 74 minutes and then played extra-time before sealing victory), a league game three days later, the second leg against Juve four days after that, five league games over the following three weeks, then the FA Cup final, then the Champions League final four days later. United played 63 games and won the three major trophies. United’s best teams in the Premier League era won the title three years on the bounce, as well as European Cups, FA Cups and League Cups along the way. United fans would also point to their team in the early 1990s as possible contenders too. In the first five seasons of the newly named Premier League, United won four league titles and two FA Cups. They did this playing exciting football with many of the players in the starting line-up coming from the academy. Some have pointed to the gap between City and everyone else but that tells us a lot about the standard of the other teams in the league, as well as City’s dominance. United were 16 points clear at the top of the table with four games to go when they won the league in 2013, yet that side was talked about as if it was one of Ferguson’s worst title-winning sides, so it's unfair to use those same criteria to laud City. Maybe this current City team will go on to rival the best teams in the Premier League era in the future but they are miles away from that level at the moment, regardless of how attractive the style of football they employ is. Mourinho’s Chelsea won the league and League Cup in 2015, with slightly worse performances in the FA Cup and Champions League, which is a good starting place for comparisons with this City side. For now, at least, they are a long way short of deserving to be mentioned in the same breath as the actual greatest teams.